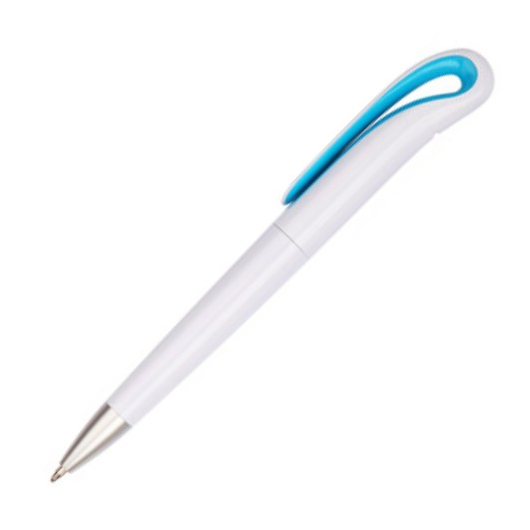 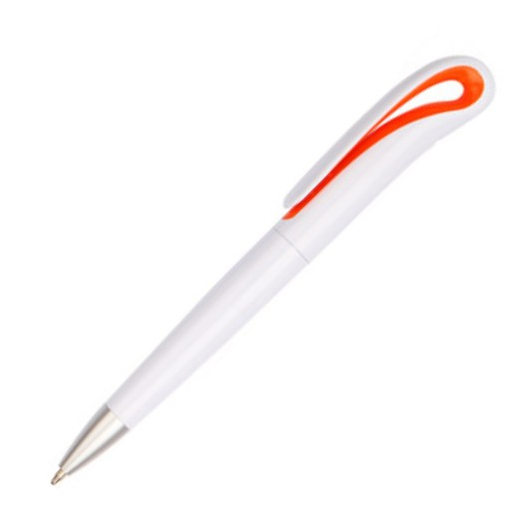 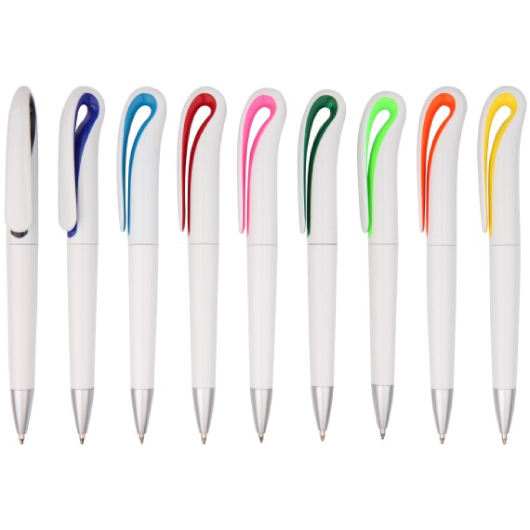 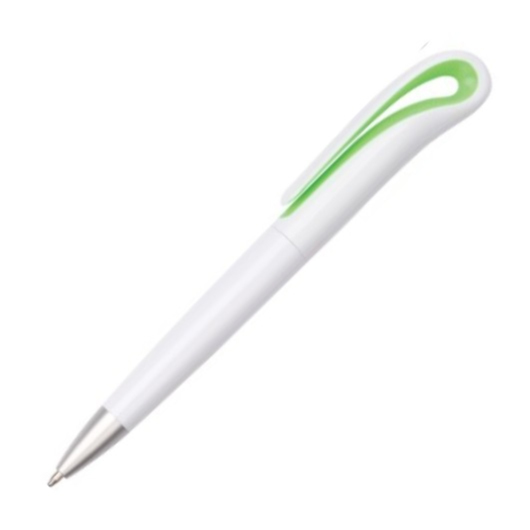 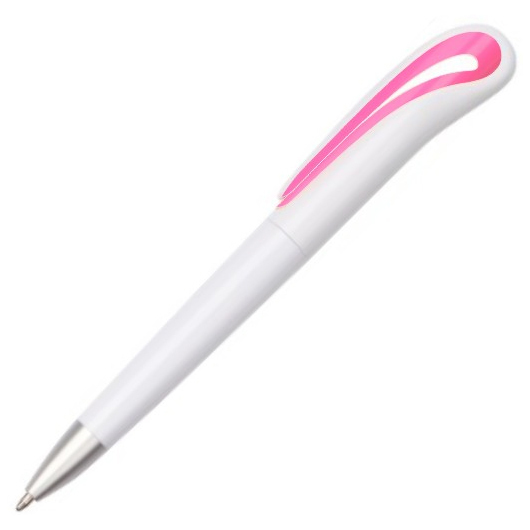 A funky pen with brightly coloured accents, great for any promotion. 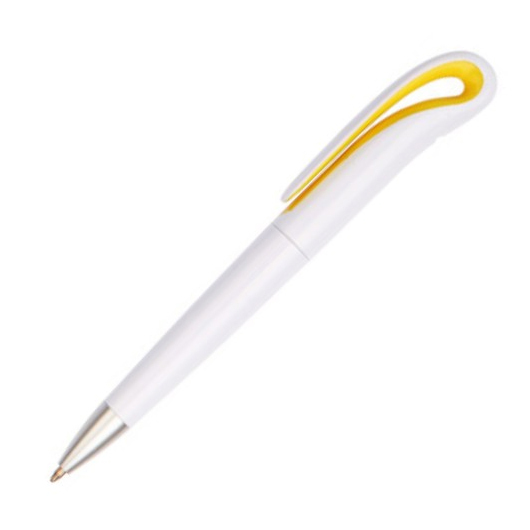 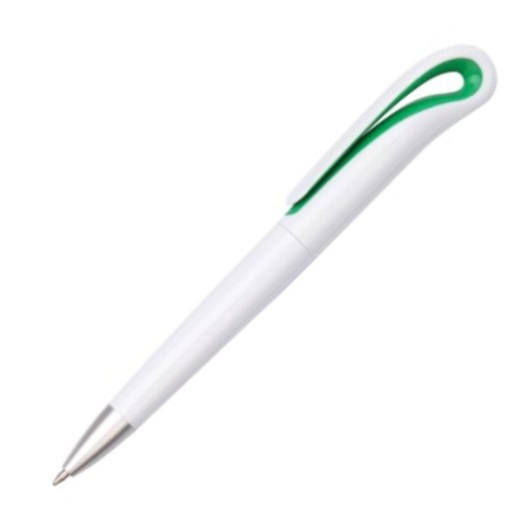 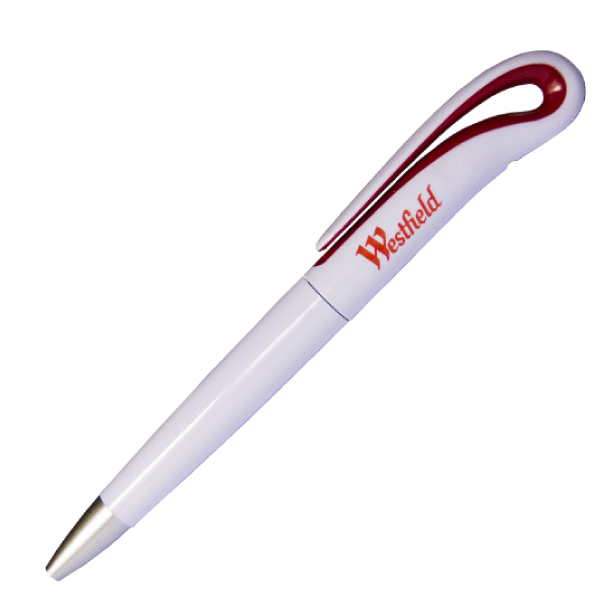 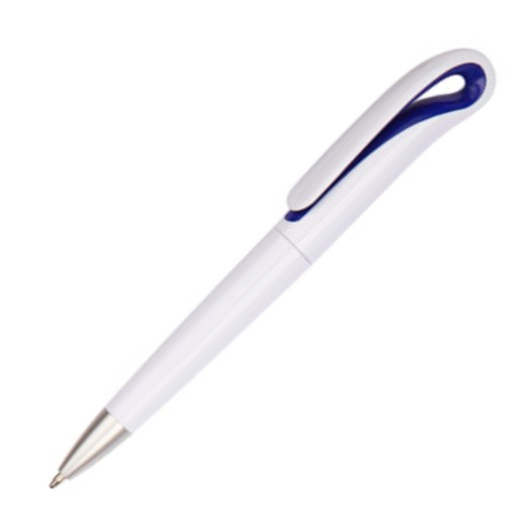 With a solid white barrel and funky design, these plastic pens are a great choice for your next promotion. They have a twist-action functionality and feature a coloured accent in the top barrel as well as a silver sprayed tip. A great giveaway pen that will get used and noticed.